You know, one of the best things about half ready foods is that they make our life much easier. You just put them into your microwave and your lunch or dinner is ready! Wouldn’t that be great to have such half staff ‘products’ for our house cleaning? Something that takes only few minutes to finish, but helps you to keep your house clean at all times. It’s a fascinating idea for me. And, I believe such half staff house cleaning things can work well, too. I know, it might sound a bit confusing or nuts at first. But, just take a moment to think about it. What is the busiest time of your day? It’s morning and evening for me. So, can I do something to get prepared and make a bunch of these half staff things to pull them out and get finish them up in just few minutes, when I am extremely busy? Why not? I discovered that with a little bit of planning it’s quite possible to do. I can get many things done just in half to get prepared for the rush hours of the next day. For one, I keep goats and I need to milk them 3 times a day. I use a large plastic jug as my milking pan. And, every time I have temptation to leave it unwashed after I pour the milk out of it. It takes just a moment to clean it. But, if I do not take this moment, the next time I go milking, I have a little stress. I have to heat up the water, clean the milking pan well and it all takes time and make this task a little bit more stressful and complicated. This is true about most of the things we do. Taking just few moments to prepare things and get them half way done frees more time during your rush hour and makes such hours less stressful. It gives you more time to relax and enjoy your life even in the busiest moments of it! It works for me. I hope, you can take little time and do little planning to make some positive changes in your life with the half staff things for house cleaning. 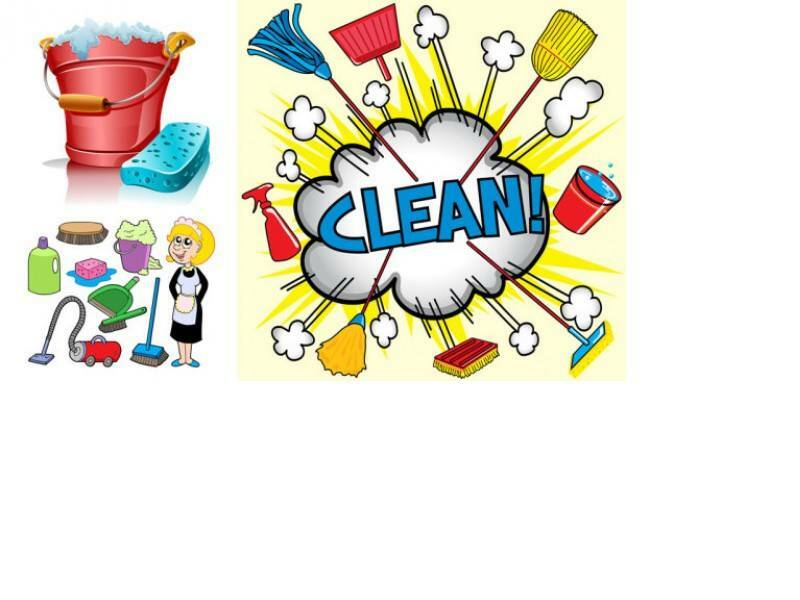 This entry was posted in Tips On Clean House and tagged busy mom, busy moms, cleaning tips, house cleaning tips, housekeeping, mom help. Bookmark the permalink.